We seek out or manufacture enemies instead of forging a fundamental consensus so as to escape the vicious circle into which the country has fallen. For how long can politics and the country be trapped in scandal-mongering? 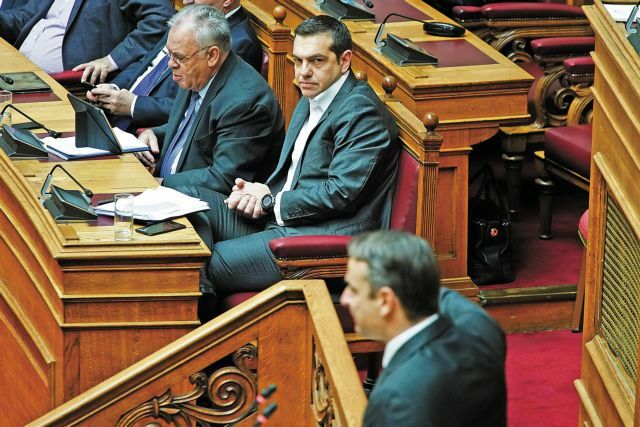 The decision of PM Alexis Tsipras and SYRIZA to constantly malign the “old” political system and to target those whom they consider political opponents in order to draw attention away their own sins and the complete collapse of the self-deceptions that they cultivated has transcended all acceptable limits of political confrontation. They have no reservations or compunction about unleashing charges and defaming people in order to ensure their political survival. The government described the Novartis affair as the biggest scandal since the establishment of the Greek state but it turned into a political fiasco. Yet, those in power proceed undaunted with the same tactics. Before the completion of the investigation of the case, the government has announced convictions. 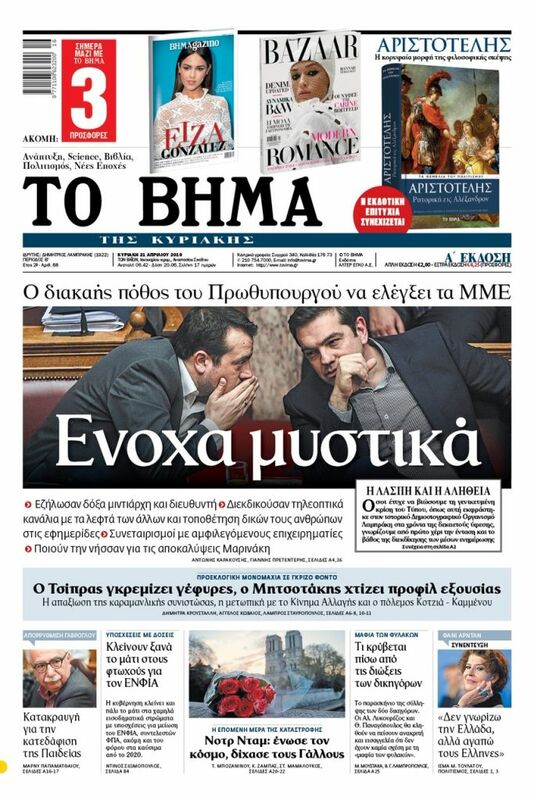 Just weeks before the European Parliament election and with Europe confronted with the chaos of Brexit and its inability to grow, Greece as usual is at the razor’s edge. Instead of looking ahead to the future we constantly return to the past. Just as it is necessary to put an end to the ills or sins of the past, it is equally necessary to leave behind the constant recycling of real and imagined scandals. Prosecutors and judges have a duty to clear up as soon as possible this situation of pervasive allegations and mudslinging. One cannot have judicial decisions on individuals in the same case handed down in instalments, perpetuating the political captivity of specific politicians. If there is responsibility it must be attributed and if not the endless saga of allegations against all and sundry must stop. The country, the economy, and society cannot endure the political stench emanating from a constant cycle of polarisation. After a decade-long crisis citizens demand that one transcend the constant and dark rehashing of the past. They demand that we find ways to confront an uncertain future with the best possible prospects.